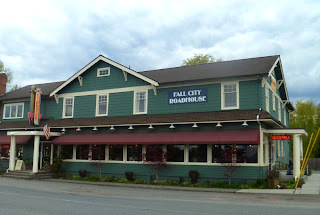 The Fall City Roadhouse is a standard American diner with an open bar area and seven rooms for lodgers on the second floor. The building hast hosted businesses since 1916 (the upper rooms since 1931) and in 1990 the exterior was used for the roadhouse in David Lynch's "Twin Peaks" and "Fire Walk With Me." 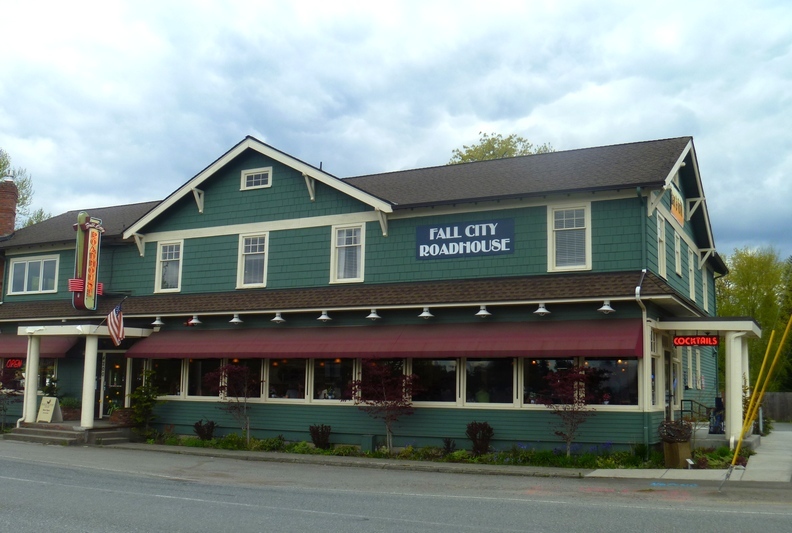 The building was the "Colonial Inn" at the time (and since 1966). 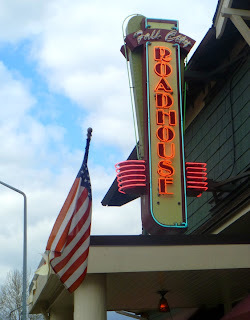 Previously it was the "Riverside Tavern."